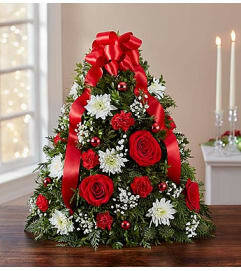 Put the “wow” in any holiday home with the deluxe version of our truly original tree-shaped arrangement. 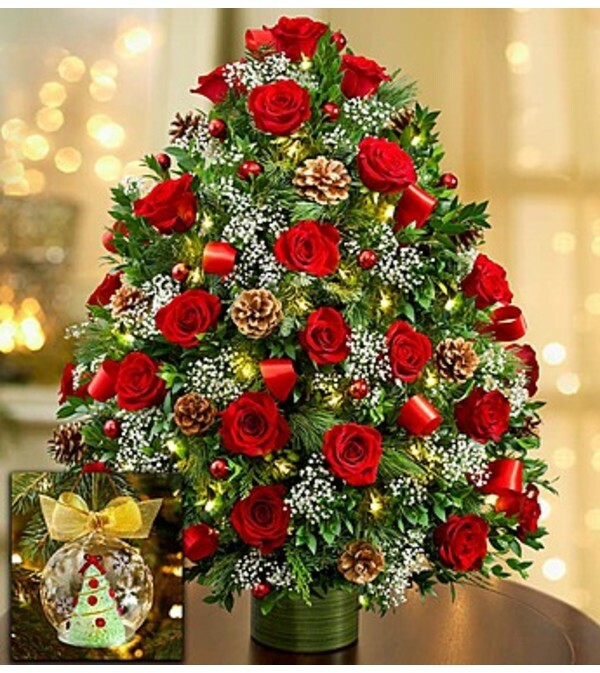 Standing an impressive 3 feet high, this lush and luxurious gathering of three dozen fresh red roses, baby's breath, boxwood and assorted Christmas greens is hand-designed and trimmed in a glass vase, then beautifully decorated with ornaments and lights. 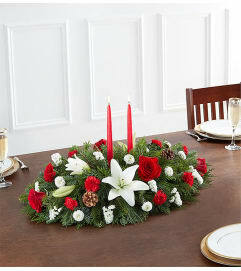 Add our exclusive keepsake Lenox® ornament, which features a replication of our perennial favorite Christmas arrangement.